Resignation letter in his left hand, Gideon stood in front of the HR’s office. Her secretary had affirmed her presence. He touched the door with his right fist; to knock. For the past four minutes, he couldn’t bring himself to knock. Why? It didn’t seem the right thing to do. He had the nagging feeling he got when he was about to do something wrong. He is hand dropped to his side. He lifted his hand to knock the HR’s office door once more. Deep within him, he knew he was about to make a wrong move. “Good morning Gideon” Morinsola opened the door from inside. He took a step back allowing her to step out on the passage. She did with her tote bag, he figured she was on her way out. She looked at him. It was barely a week since he started the job. She knew the problem. Her friend was the problem. “Oh sure Gideon, I didn’t forget” she paused. “Let me assure you Gideon. I will give you firsthand information but I want you to know where you are right now in a goldmine. That is if you use it well.” She looked absentmindedly at her wristwatch. “Now, if you will excuse me” she smiled “I have to be at MD’s office before lunch hour. She walked briskly away from him it made him wonder if she was avoiding him. He made his way into the rest room. He needed to clear his head. He rolled his eyes. A little more help in this conversation would be nice. Alright, I surrender, but how do I cope with that girl? I mean what’s your game plan?” He said aloud this time. He didn’t mind that anyone in the space would think he was talking into the thin air. As that word floated in his heart he brought out his phone and checked out the full text in psalm thirty-two verse eight. He opened her car door for her, she was taken aback. “Thank you” She sat inside. He drove in silence. He was trying hard to be nice. Well, not that he detested her. No, she was, like the least of his problems. He just felt she didn’t deserve his patience with all her haughtiness. But it seemed Father was not going to let him off easy on this one. And there was his mother who was glad he was working at a company. She didn’t even want to hear his position. After thinking about it, he came to a conclusion. He’d make to do with whatever he got while on the job, and keep applying for other opportunities. He would not let his problems affect who he was. He parked the car at the Store. She stepped out to get into the shop. She wore a leather jacket that probably did wonders in the Cold season. Omolabake came out about ten minutes later with their signature white box. He came out of the car to open her door. They had one of their arguments last night. This time it was over cartoon network. “For goodness sake, why does Lekan turn every discussion into a potential baby talk?” Morinsola stared out at the white sky. There was no silver lining when her husband was bent on a matter. She stormed out of the room… No good night, no nothing. Now, here she was on her birthday morning. So pissed at herself for not letting Lekan’s candid remark slide. He left for work earlier than she did and the dude didn’t even bother to wake her up. “Yeah, come in” She turned the chair to face her desk. “Happy birthday sweetie,” Omolabake sang as she hugged Morinsola several times. “Right? Me sef need husband.” She giggled. “So I got you this” she brought out a yellow gift box from her bag. “What nonsense! Go ahead, return it to the jeweler then” Omolabake feigned annoyance for a few seconds and smiled “You are the mother around here. Even mothers get mother’s day. Please allow us spoil you silly.” Already removing the pearls on Morinsola ears, she wore her the gifted pair. Gideon wanted to give Morinsola something. For one, she treated him as human being and she had always been kind from day one. “Hey Gideon, please sit down.” She pointed in the direction of chairs available. Gift items lay around and the boxes of cakes had increased to three. “Can I ask you a question?” He sat forward holding eye contact. “Alright then…” He stood up to leave, “I got you this” He handed her a wrapped parcel. From his little observation, Gideon thought “it seemed Morinsola had dual personality, she was on some mornings the carefree, high spirited cheerleader and other mornings, she was dull. Her façade just seemed to give her up in ways she probably didn’t know, not up for much talk and definitely trying to not betray emotions like this morning. Was she on medication, maybe suffering from depression, perhaps it was a woman-hormone thing? He parked the car and was about to drop the car keys so he could retire for the evening. Both shared a knowing laughter. “Dinner is ready; I’d like you to dine with us.” Granny O said. Morinsola enjoyed the quiet of the kitchen as she stirred the chicken curry sauce. The only sound was the irregular whistling of the boiling rice on the cooker. She reduced the heat so it could simmer. For a thousand times or less, she had rehearsed how the evening will play out with her husband. She’d apologize and they’d eat or he might apologize also and even give her a gift either way, she wanted her peace back. The front door clicked, opened and shut. She stepped out of the kitchen. He shrugged “Hey babe…” she was at his side welcoming him into her arms. “Me too” he hugged her and then kissed her forehead. I left the heater on. “Why would Lekan resort to alcohol?” She turned off the heat as the Chicken Sauce was cooked. He was down in no time. Refreshed, he placed his hands on her shoulders. She leaned into him. “You do?” amused, She asked. Hey there, thank you for reading so far! We made it to the fifth Episode! 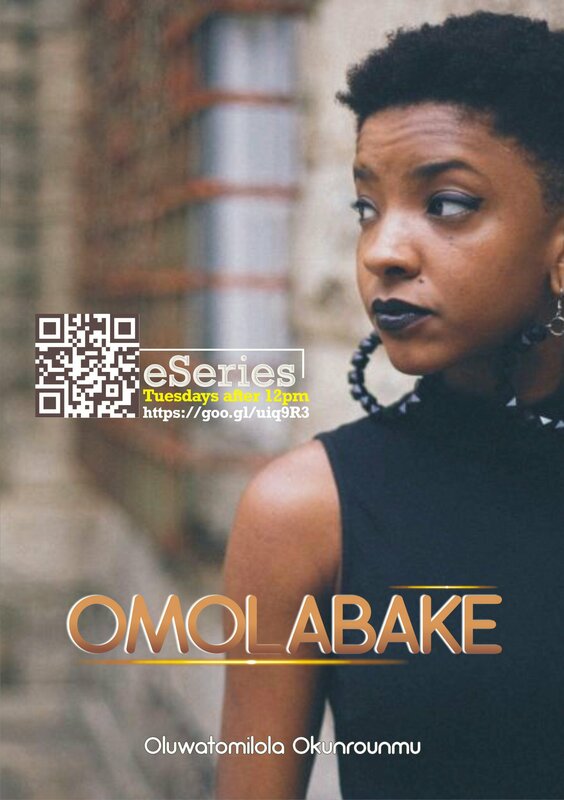 Too many gists in this episode… I mean just imagine the look on Omolabake’s face when she realizes she has gotten her perfect match (Dude‘s got working brain!)? Do you think she can handle all that Gideon carries… and there is Morinsola, whose secret I can’t wait to find out? Hear this, there is a better way. For Gideon, he knows that doing anything outside the will of God is his first step to regret, that is the reason why he follows dogmatically, listening at every step. I b dey suspect Morinsola o!, seem like she has a past she is battling with. 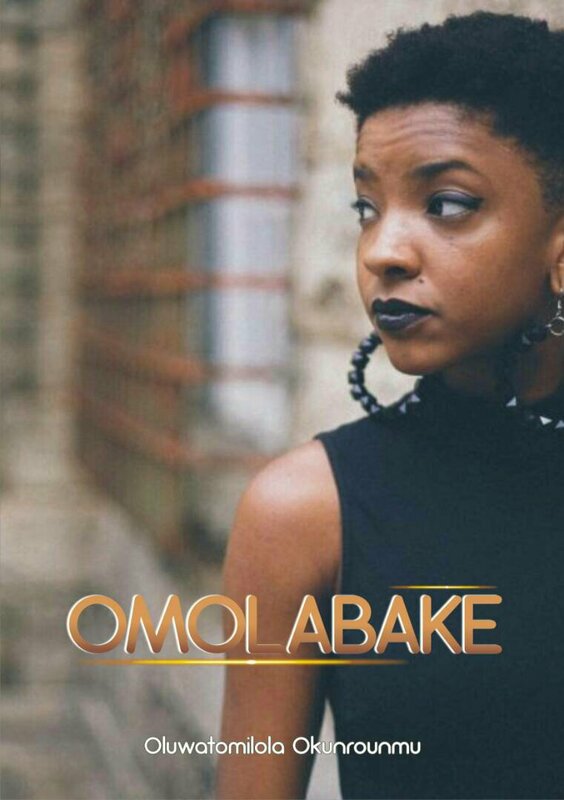 Man of Valour!, wen a lady friend’s mother or granny begin to like u, u need to b extra careful, dis one is even ur boss (OMOLABAKE!, the insensitive career lady)… Abi u don get work for oil company! As unbefitting as the job may be, Gideon’s obedience is worth emulating. “If a man refuses to heed God’s, he can never hit target (be fulfilled)”. That is a good angle you are bringing in! Gideon seems perfect for Omolabake, she’d get to realize that blessings are packaged in different forms and the best of them don’t always come in shiny packages. Still waiting for the story behind Morinsola’s touchy attitude on the subject of children and Mr perfect might not be sooo perfect and understanding afterall. Granny O can’t just stop being the perfect grandma thumbs up to her. 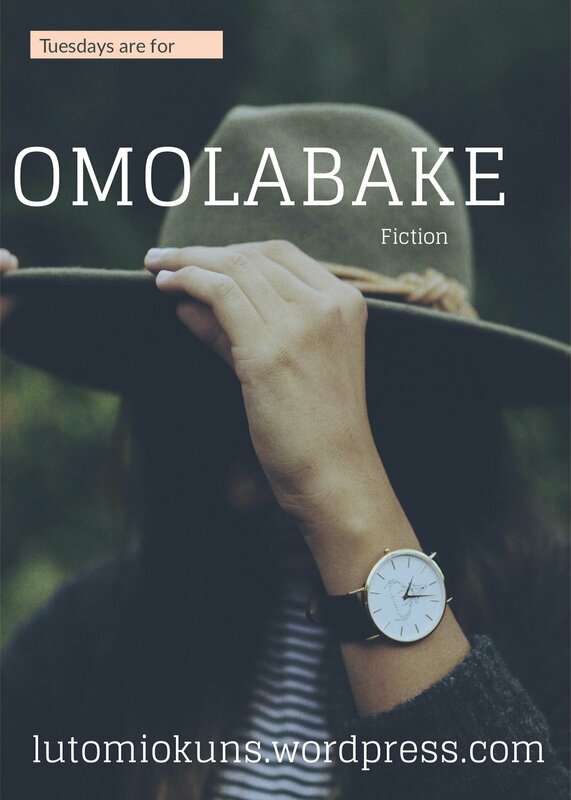 All in all, Omolabake is proving an engaging read, can’t wait for subsequent episodes. We keep watching. Yep, don’t judge people based on what they look like but who they are. Men like Gideon are few, his living is in his will. Looking forward to episode six…. I’m blessed!